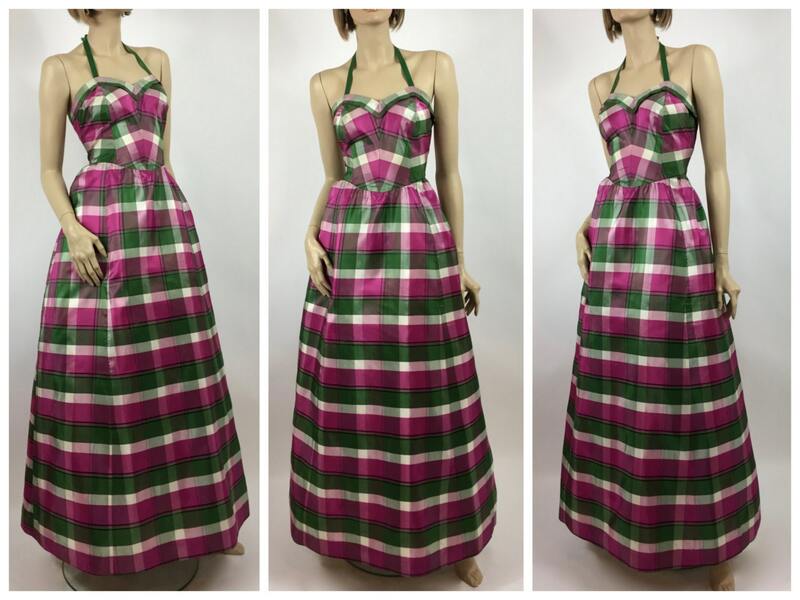 Absolutely stunning plaid taffeta evening gown is in VERY GOOD VINTAGE CONDITION! 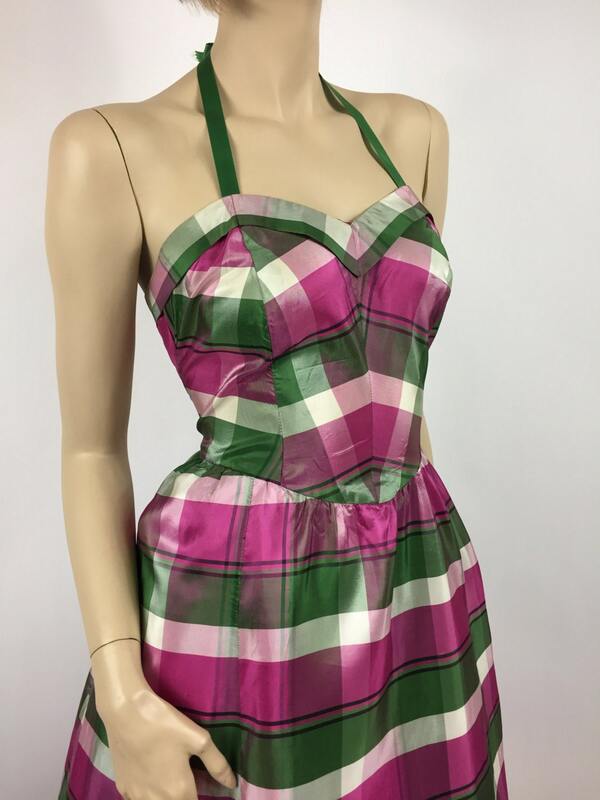 The original owner has added a ribbon halter style strap to this beauty that was created by her mother in the 1950's. Dress has been well stored and is in terrific shape for it's age . 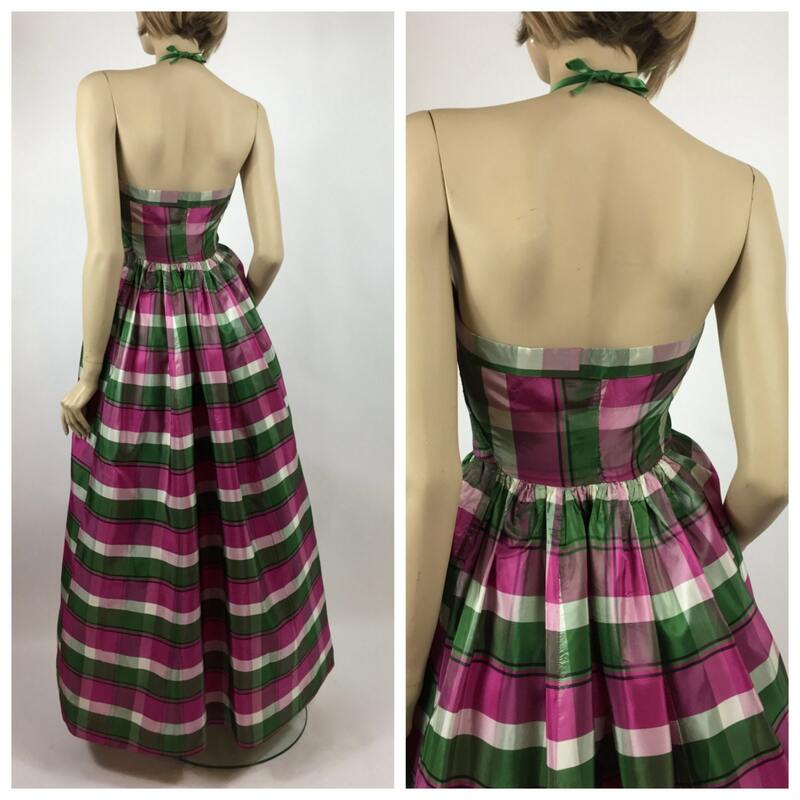 The plaid taffeta adds a completely unique look to this dress. 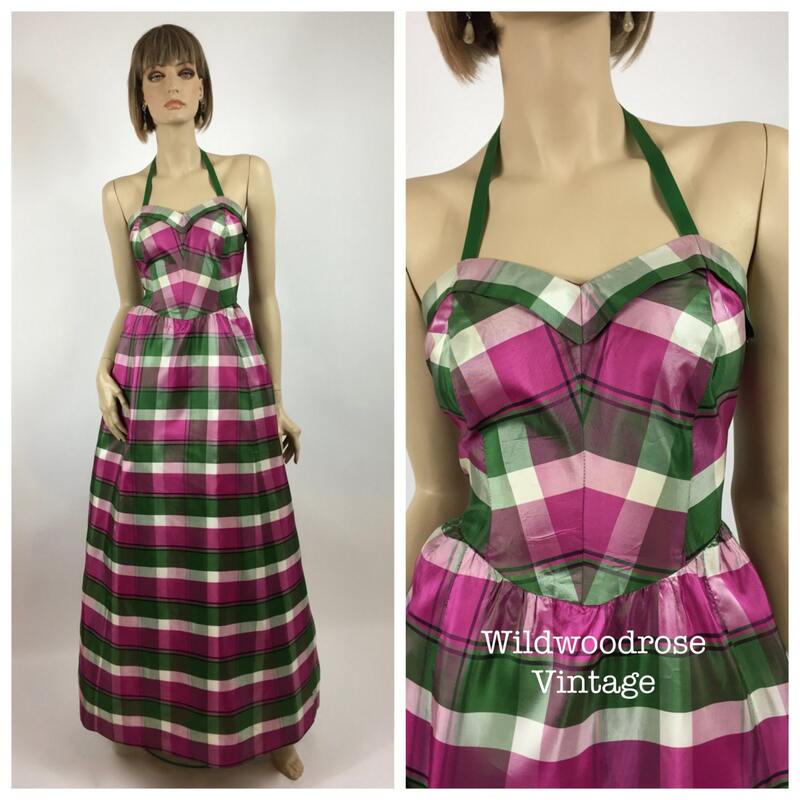 Perfect for a vintage inspired night at the Prom. 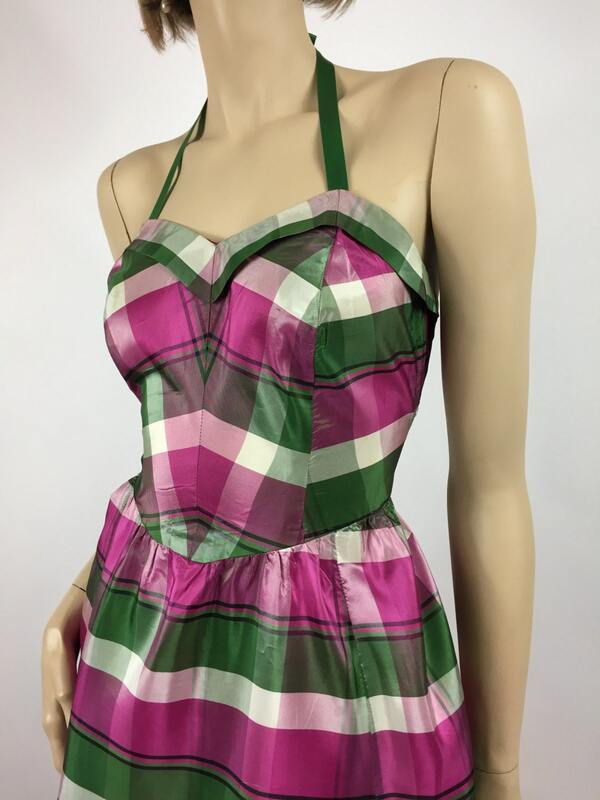 Please note that this is a vintage garment from the 1950's and it has been pre-loved. There are a few marks in the fabric of the skirt but you will have to search to find them. BEST FITS CONTEMPORARY AMERICAN SIZE 4. ✦ BODICE SIDE LENGTH: 8"
Jewelry and Crinoline are for Display Purposes Only. Not Included in Purchase.